Can Minneapolis Duplex Market Survive Without The Tax Credit? | Your best resource for buying, selling, owning and investing in duplexes and duplex homes. 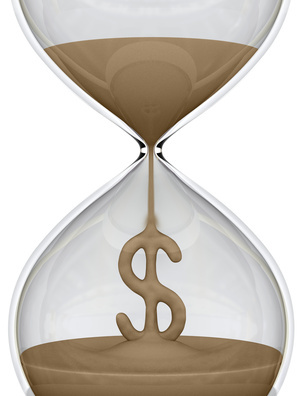 As the sand in the hourglass of the $8000 first time home buyer tax credit begins to run out, an article in the New York Times this week reported there are doubts that the housing market can function without it. The Times article estimates that as many as 40 percent of all home buyers this year qualify for the credit. In fact, the National Association of Realtors estimates the credit is responsible for 350,000 in sales this year alone. Moody’s Economy.com, however, is still more optimistic, putting the figure at 400,000. Evidence to support this may be found in the fact that mortgage applications for the week ending September 3, showed the largest gain since early April. Home builders and the National Association of Realtors want Congress to extend the tax credit through at least next summer. The groups are suggesting the program be expanded to $15,000, and the credit granted to all buyers. Republican Senator Johnny Isakson of Georgia, the sponsor of the original Senate bill, is working on just that. Isakson is submitting a new bill that would give a maximum $15,000 tax credit to any buyer who stays in the home for at least two years. Don’t hold out for the $15,000 credit, however. Washington, being the contentious place it is, is sure to hotly debate any additional stimulus package. If a new housing tax credit is passed at all, expect it to be a watered down version of Isakson’s original idea.